The music of pianist, arranger, and recording artist, Linda McKechnie has inspired thousands of people around the world through her instrumental recordings and personal appearances. 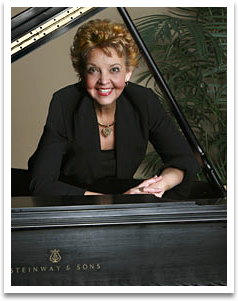 The collaborative efforts of this Steinway Artist and the orchestration of her well known brother, composer and arranger, Don Marsh, have produced the popular Hymnworks and Symphony of Praise series. This Texas resident succeeds with dramatic flair in rejuvenating the traditional Christian hymns, praise and worship choruses, and Christmas carols by blending these with the powerful themes of the master composers such as Bach, Beethoven, and Mozart. Her sixth recording, A World of Praise, is a musical tapestry of hymns from around the world featuring a unique combination of piano, orchestra, and indigenous instruments, all converging to profoundly convey the universal language of the love of Christ. Moments With the Savior (2000 Dove nomination), recorded with the London Festival Orchestra, will lead you in personal worship and reflection. Rhapsody of Love is no exception to McKechnie's tradition of heartfelt and uplifting instrumental music. In her signature style, she has created innovative instrumental arrangements blending familiar songs of Christian love — from hymns to contemporary love songs — with classical melodies. Rhapsody of Christmas, a 2003 release, presents expressive Christmas music inspired by the great composers such as Bach to Gershwin. 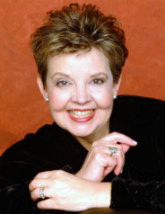 In September 2005, Linda recorded Reflections in conjunction with her husband, The Rev. Dr. David McKechnie (Dave) in celebration of their 25 years of ministry at Grace Presbyterian Church, Houston, Texas. This is a devotional CD with Dave's readings from the Word accompanied by Linda's piano arrangements. Worship Collage is Linda's debut album recorded on a new label, Cool Springs Records, which was released March 2006. Accompanied by the Cool Springs Orchestra, this instrumental CD is a collage of hymns with classical and original themes played in a very inspirational and worshipful way. Linda grew up in Cherry Hill, New Jersey, in a very musical family and started playing the piano at the age of four. Her academic background includes a Bachelor of Sacred Music from Nyack College, New York, of which she was a Board member for six years. Linda has served Presbyterian churches in New York, Oklahoma, and Texas as organist, and director of adult and children singing and ringing choirs. Linda is recognized for her great contribution to the art of handbell ringing as a publisher of over 50 handbell titles and a past president of the American Guild of English Handbell Ringers. As a volunteer, Linda has a compassionate heart to make a difference in the lives of the functionally disabled, underprivileged, and the elderly. Realizing that her music is therapeutic and heals the spirit, Linda has been involved in the Junior League singers, performing at assisted living and community centers. Presently, Linda is involved in helping Brookwood, a community for functionally disabled adults, to form a handbell program to teach them music skills and build their confidence to perform in the Houston area. To Linda's great surprise, God continued to broaden her ministry beyond her expectations. After raising a family and being deeply involved in helping to expand her husband's ministry, God opened new possibilities. At the age of 49, Linda signed her first recording contract with Brentwood Music. Linda loves to say, "Never underestimate God's plan for your life...no matter how old you are!!!" Because of her love for music, Linda has accomplished a remarkable blend of talent and spiritual giftedness, whether she is part of a concert series, or performs for civic or church groups. Her winsome interaction with the audience, her explanations relating to how the arrangements were written, and encouragement to the audience to sing along, adds a warm, personal element to the event. It is truly an unforgettable experience that heightens appreciation and love for the texts and melodies as they are performed in a new and refreshing way. Through this avenue, Linda's goal is to reach toward a broad spectrum of worship traditions and musical tastes. Linda has recorded with the London Festival Orchestra and the Nashville String Machine. Along with performing her arrangements with musicians from the Houston Ballet Orchestra, Knoxville Chamber Orchestra, Tulsa Orchestra, Naples Symphony, and the Symphony of Southeast Texas, Linda has performed with some of the finest church vocal choirs, handbell choirs, and musicians throughout the country and has had the privilege to play a special concert to honor Dr. and Mrs. Billy Graham. Her music reaches far beyond the concerts. The printed music is played for countless weddings and worship services by church musicians. The recordings are continually played on Christian radio and television. They have been played to sooth crying babies, comfort stroke victims, calm mothers in hospital delivery rooms, played over the sound system in operating rooms during major surgery, and for anxious dental patients. The music has been choreographed for ballet dance troupes and used as sound tracks for videos and for Network TV segues. Linda and Dave have shared in ministry at Grace Presbyterian Church, Houston, TX for 25 years. Although Dave is retired from the pastorate at Grace, Dave continues to have a passion to educate and mentor young pastors for the 21st century. He is the President of the Texas Theological Foundation which has launched an extension of Fuller Seminary (CA) in Houston. After retirement from Grace Presbyterian Church, Dave served as Interim Pastor of First Presbyterian Church, Houston, TX for 3 years. In 2011, Dave accepted another interim position at Eastminster Presbyterian Church in Wichita, Kansas. God still had more plans- In January, 2013, Dave was called to Bel Air Presbyterian church in Los Angeles- to be Head of Staff (100 people), Session, and main Preacher of the Word and Sacrament. To watch his sermons, go to www.BelAirPres.org then go to "media". Because of Dave's continued involvement with Fuller-Texas, the McKechnies have kept their Houston home and commute between the two locations. God continues to surprise them in ministry no matter where they are!! They are also blessed to be the parents of two grown children. Peter and his wife Mindy live in Knoxville, TN and are involved in ministry. They love being parents to their sons, Baker and Bo McKechnie. Sheri McKechnie Joseph and her husband Michael live in Charlotte, NC. Their two sons, Ian McKechnie and Reid Austin bring a lot of excitement to their home.